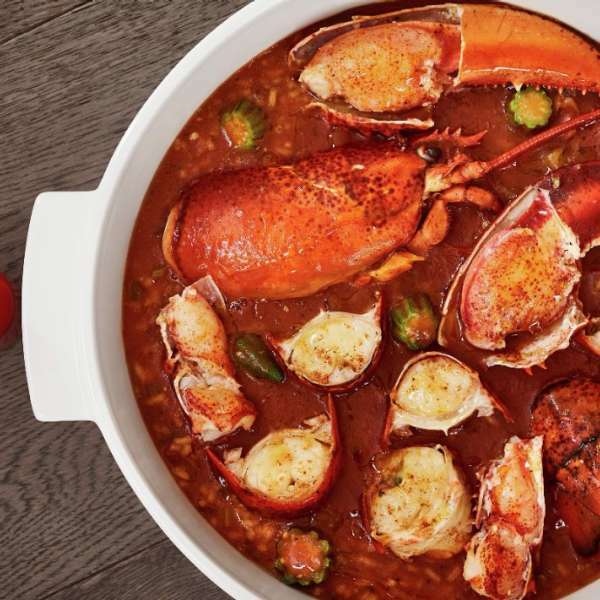 Fish by José Andrés celebrates the best of Maryland and the Chesapeake Bay Watershed, while including time-honored cooking techniques from around the world. 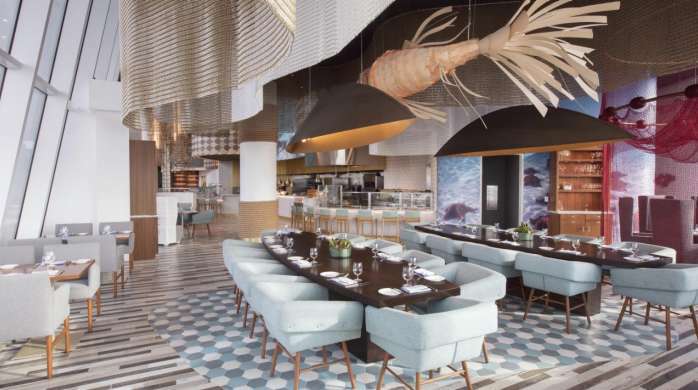 Fish showcases the region’s bounty in live seafood tanks and interactive cooking stations, bringing guests seafood dining in a way that only José Andrés can. Toast to spring with a bocce tournament every Monday. Each night’s winner will go home with a swag bag, but everyone wins with specials on Domaine Ott Rosé, José’s Gin & Tonic, steamed Maryland crabs, and more. 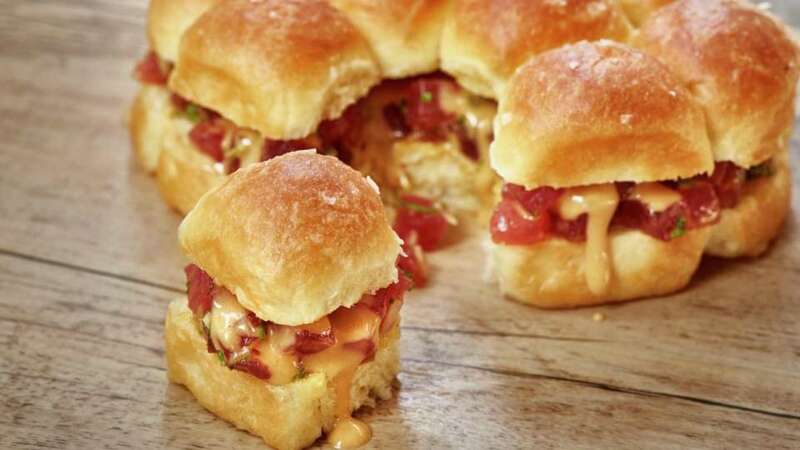 Celebrate mom with José’s brunch favorites and new seafood selections from our spring menu. Reservations available now. 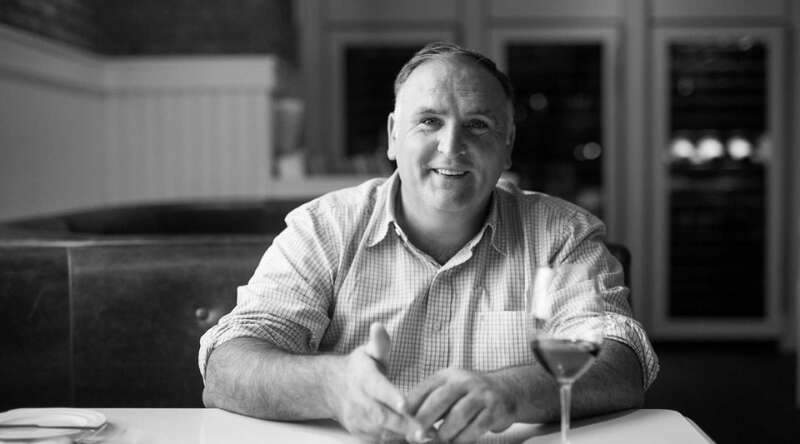 Join Fish by José Andrés for an interactive beer dinner of epic proportions. We’ve invited the reigning champs from Flying Dog Brewery back for rematch against Port City Brewing Company to pair their beers with Head Chef John Heineke’s five-course menu. Guests will vote for their favorite pairing after each course. At the end of the evening, one brewery will take home all the glory plus get to challenge another local brewery for a follow up dinner. From the salty seas to the roaring rivers, enjoy the best of Maryland and beyond, highlighting unique techniques from across the globe. Go Fish and allow our chefs to create a culinary journey through our menu featuring an array of dishes specially-selected for a unique tasting experience. Now that you are here…start fishing! *Consuming raw or undercooked meats, seafood and shellfish may increase your risk of foodborne illness. 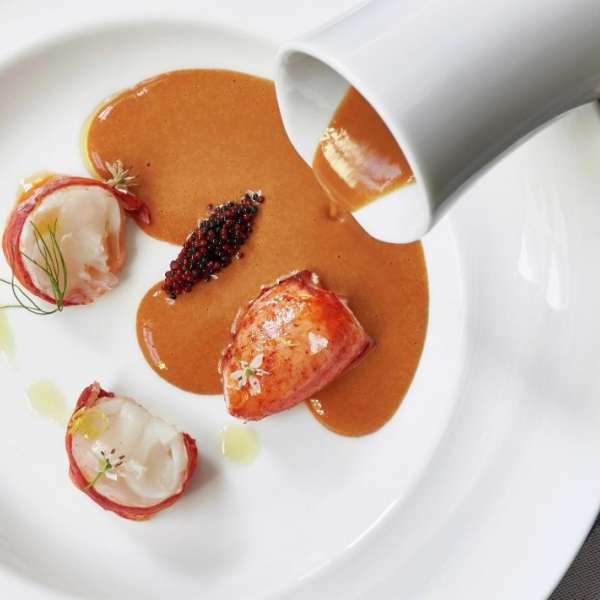 Try the endless flavors at Fish by José Andrés. 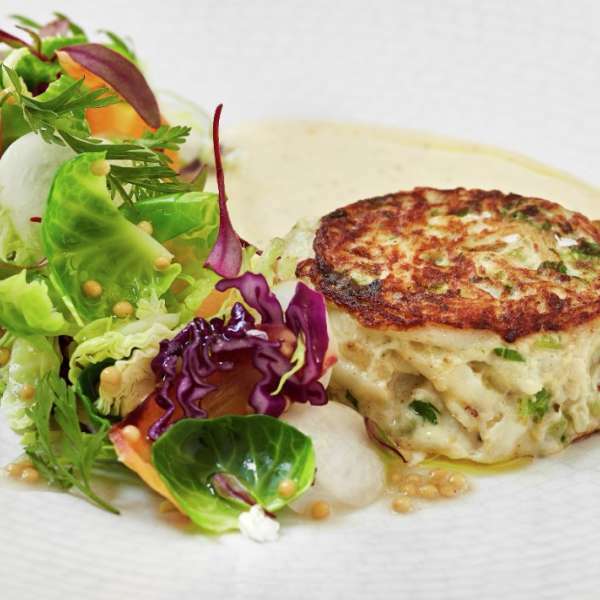 Try the delicious tuna tartare at Fish. 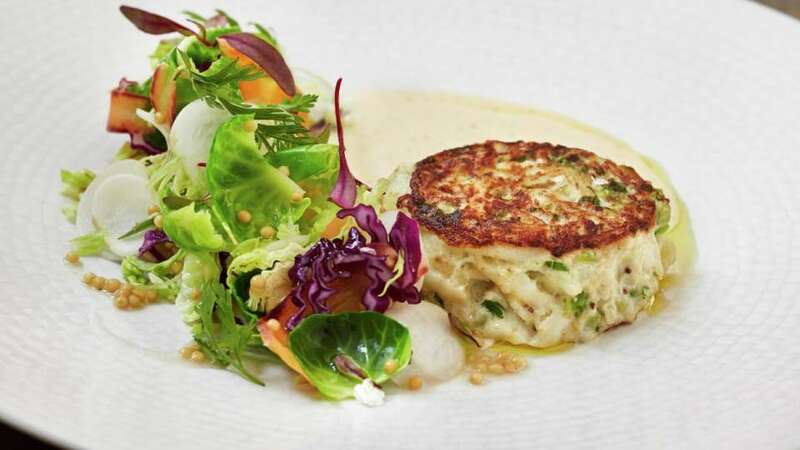 Try the crab cakes at Fish by José Andrés. 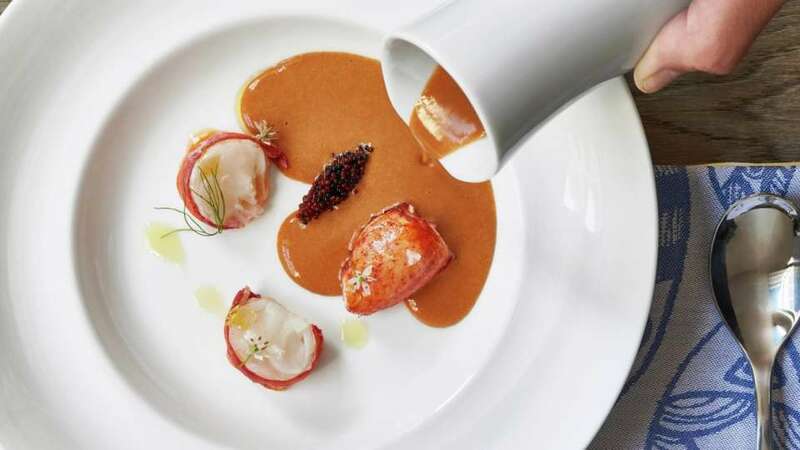 Start with the bisque at Fish by José Andrés. 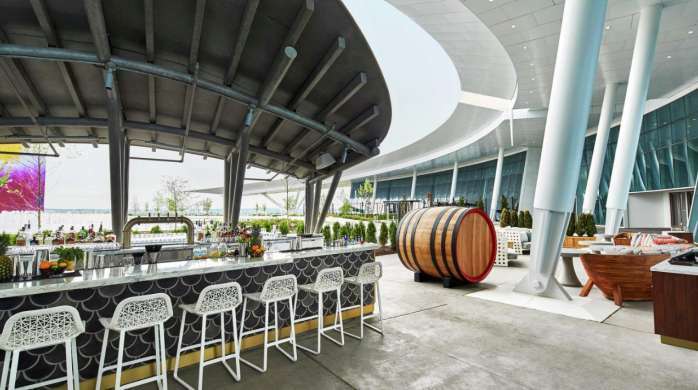 The Patio at Fish by José Andrés is ideally situated overlooking the Potomac Plaza. This vibrant casual expanse is just what locals and tourists alike are looking for as the Mid-Atlantic temperatures begin to rise. 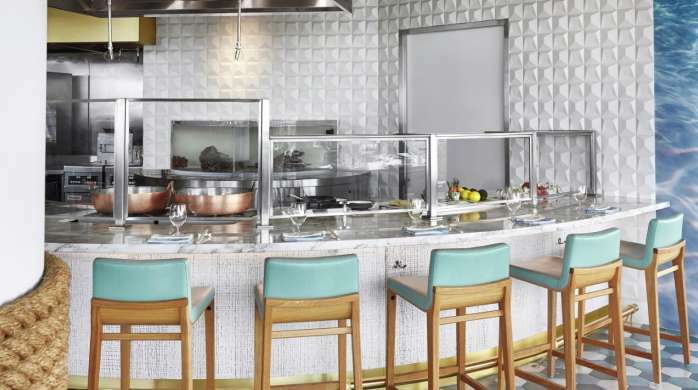 Grab a seat at the bar, settle in to a sumptuous lounge chair or pull up to one of the communal tables to enjoy a cold beverage and classic Chesapeake fare. When you’re here, you’ll dine as they do in Maryland: crack your own crabs, slurp freshly-shucked oysters, eat corn straight from the cob and finish it all off with an ice cold beer. 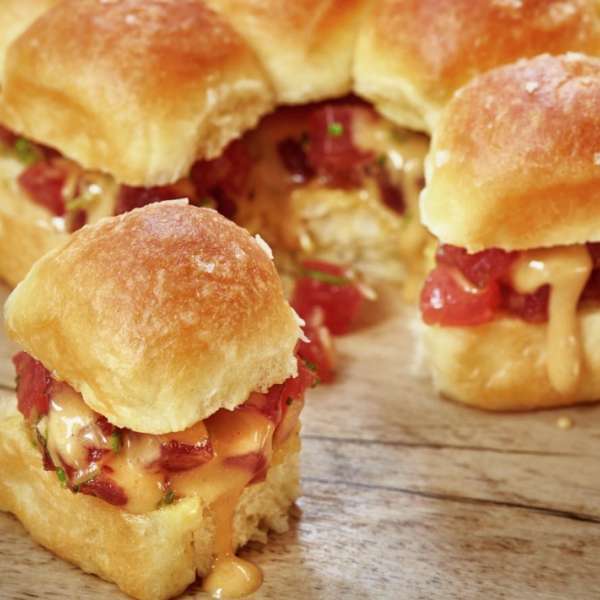 In the afternoon, snack on a variety of hot dogs – we go beyond the traditional frank here! – in addition to other tasty bites. 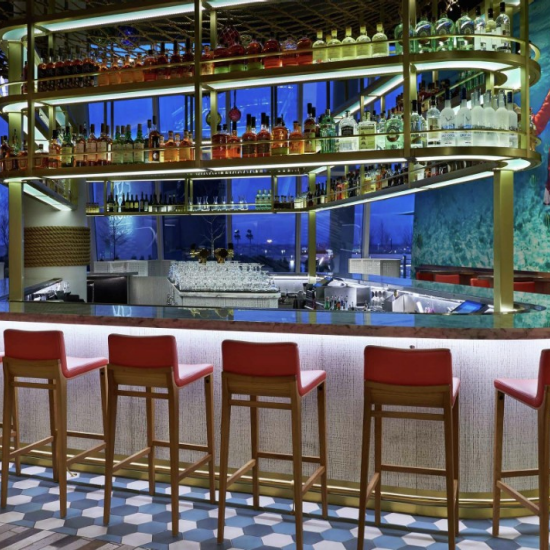 At this intimate five-seat bar, guests have a front row view to watch chefs prepare a variety of ingredients – from wild mushrooms and local oysters, to exotic sugar toads and luxurious scallops with truffles and caviar. 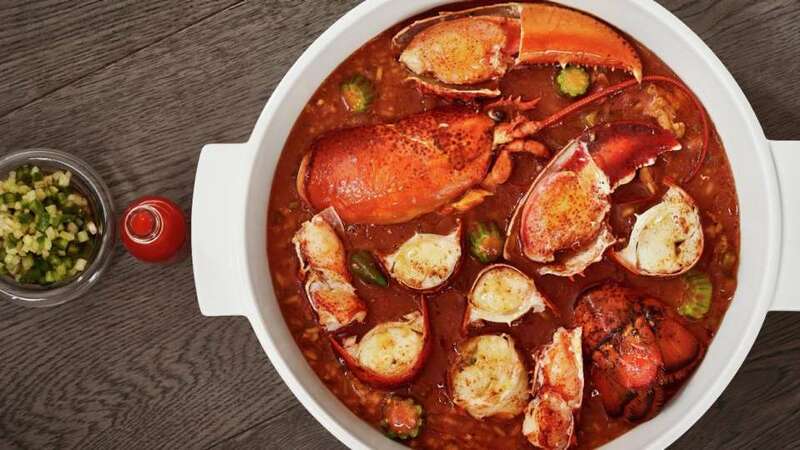 The first seafood-foucsed concept from Jose and his team, Fish by Jose Andres celebrates the best of Maryland and the Chesapeake Bay Watershed, while incorporating time-honored cooking techniques from around the world. Host your next large party surrounded by a dining room inspired by the sea along with a backdrop of the breathtaking Potomac Plaza. Once on the casino level from the elevators, walk right into The District and Fish will be straight ahead on the right. Walk left into The District and continue walking. Fish will be on your left towards the end of The District. Take the escalators or staircase down to the Conservatory. Walk to the left of the Casino entrance to The District. Continue walking and Fish will be on your left towards the end of The District.